In research that will interest both government and developers, HASSELL looked at a typical block of walk-up apartments in the suburb of Auburn and reconfigured the layout to achieve vastly better outcomes on the same footprint. Not only did its design double the number of apartments available and provide a greater variety of housing options, it improved amenity for residents by providing twice as much useable open space, both private and shared, and the opportunity for non-residential mixed use spaces such as a shared work hub. 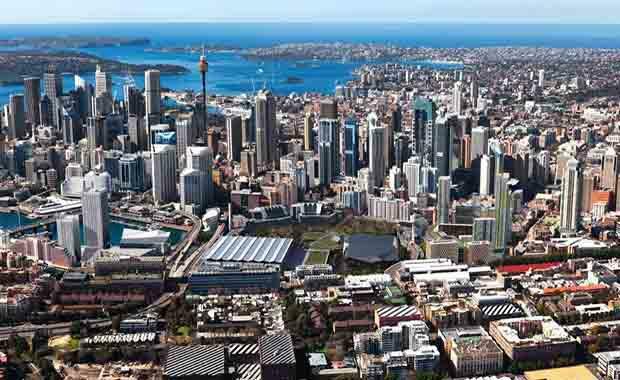 David Tickle, who heads the firm’s Urban Design sector, said talk of increased urban density was often met with resistance but, if done right, an approach such as that outlined in its Urban Housing Challenge study could enhance, rather than compromise, Sydney’s future standard of living. “Every major city is experiencing unstoppable population growth, and we need to start looking at how we accommodate our growing populace without having to resort to spreading at the outskirts and encroaching on valuable farm land,” Mr Tickle said. The study also looked at residential buildings in Shanghai and London. Applying a similar process, HASSELL found it could improve the amount of green space and personal living space available in each of these congested cities by reconfiguring the footprint of London’s row houses and Shanghai’s slab blocks. “HASSELL operates in each of these cities, which has allowed us to understand and respond to their unique needs and conditions, and to provide an original and compelling vision for their future,” Mr Tickle said. The design firm hopes its work will generate debate among government planners and developers here and overseas on how to sustainably drive greater urban density. This is the first stage of a broader study by HASSELL looking at the density challenge facing major cities. Future studies will look at new models for mixed use and retail precincts, urban schools and public spaces. “Living in a high rise does not inevitably mean compromising on important considerations like a sense of community and access to parks and outdoor space,” Mr Tickle said.